A consortium of China’s HNA and Dutch-registered Plovdiv Airport Invest BV, which has won the tender for a 35-year concession of Bulgaria’s Plovdiv Airport, will invest more than €160mn in the airport, the transport ministry said on May 18. Bulgaria launched a tender for the concession in January 2017. HNA-Plovdiv Airport Invest was one of three bidders along with a local consortium called Consortium Plovdiv Airport and including Trakia Economic Zone (TEZ) and major Bulgarian road transport firm PIMK, and another consortium led by a company of the Swiss investor Urs Meisterhans. Initially, the consortium has pledged to invest at least €79.1mn within five years after the concession deal is signed, including on repairs, rehabilitation and maintenance of existing infrastructure and new construction. At a May 18 a meeting between HNA’s representatives and Bulgaria’s Transport Minister Ivaylo Moskov, the company said it will increase the sum and will invest it over a shorter period, the ministry said in a statement, but did not provide further details. 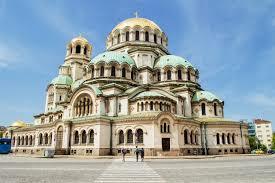 Bulgaria will charge no fee over the first four years of the concession. After that the consortium will pay a fixed fee of BGN600,000 along with 6% of annual net revenue from airport’s operations. HNA Airport Group is part of a consortium with Dutch-registered Plovdiv Airport Invest. The Chinese company is the third largest airport investment management group in China and runs 16 airports. Plovdiv Airport is a regional airport located 12 km southeast of the country’s second largest city of Plovdiv in southern Bulgaria. The runway has a length of 2,500 m and its width is 45m. Plovdiv Airport is located 130 km from the capital city Sofia.